Delhi walking tour with Salaam Balaak Trust. 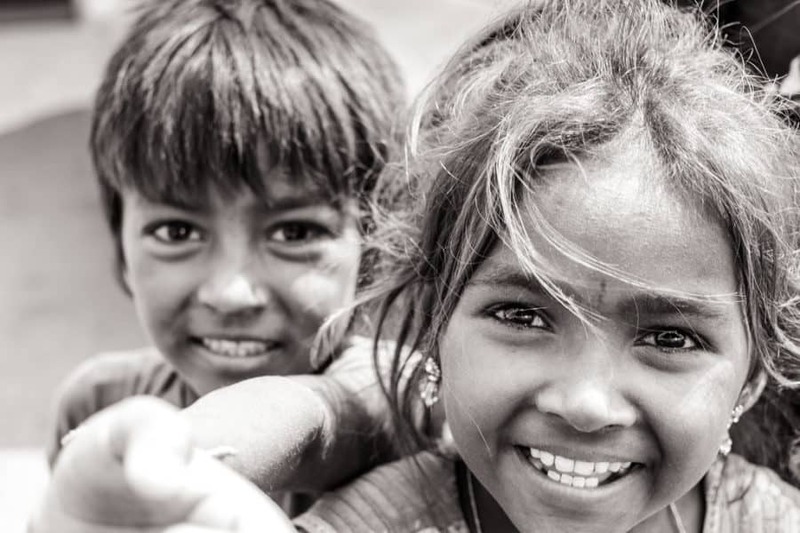 India is home to 11 million street children. Some are orphans, others run away from abuse, neglect, or arranged child marriages. They run to big cities like Delhi and Mumbai, dreaming of a better life. The reality is never what they had hoped. There are very few public services in India. No foster care, no government housing, no free healthcare, or education (even at the primary school level) and no one is collecting disability checks at home. This results in extreme, gut-wrenching poverty and children forced to live and/or work on the streets to fend for themselves. One common rumor is that all kids begging on the street are a member of “the mafia.” None of the kids I have spoken with about their experience have any personal or second-hand knowledge of anyone begging for any such mafia. In fact, they looked confused by the question. The Delhi police department has even come out saying there is no begging mafia in Delhi but that doesn’t stop people from using conspiracy of one to justify their own indifference towards those who live in poverty. If kids are not able to quickly find work, most turn to petty theft. This lifestyle is exhausting and degrading so the kids often turn to drugs for an escape. Most huff glue because illicit drugs and even alcohol are far beyond their financial reach. Marijuana is also somewhat common. I was told that not all of the kids begging in the street are homeless. Some have parents who are unable or unwilling to work so their children resort to tireless begging. Others are Street kids, working and living on the streets. In comes Salaam Balaak Trust an amazing nonprofit that provides shelter, food, education, basic medical care, and so much more! It’s a great program and I’m not the only one who thinks so. 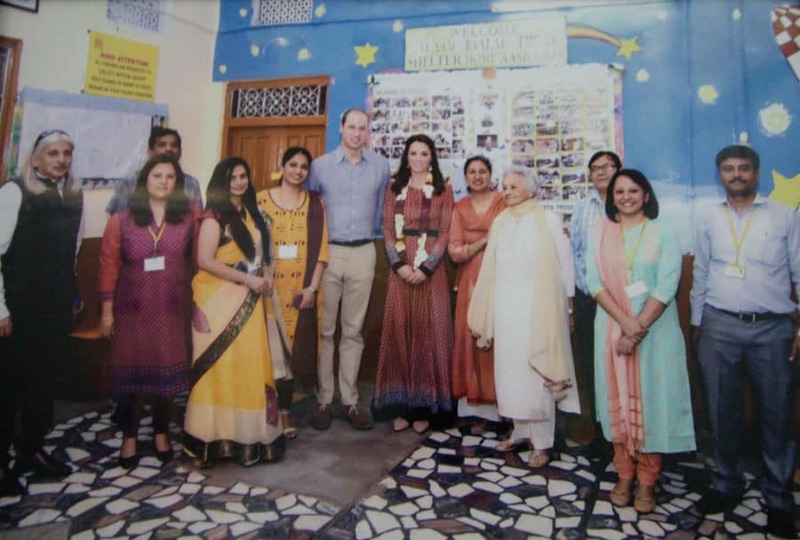 At their main office, the walls are lined with images of members of the NGO posing with Michelle Obama, Kate Middleton, and Prince William. They have worked with the police to set up greeting areas inside the railway police stations. The hope is to get to the kids right as they arrive instead of after years of hardship. Some kids choose to stay on the streets but those centers are still open for events like weekly movies where kids can come and relax in a safe place. A few years back they partnered with the Indian government to respond to emergency “child in distress” calls. If you see a homeless child, you can call the child helpline by dialing 1098. A social worker from Salaam Balaak Trust will go and talk to the child before the police reach. They then work hand-in-hand with authorities to get these kids the help that’s needed. Sallam Balaak Trusts offers walking tours for visitors. You will see a bit of Delhi and will learn more about the organization. You may have the opportunity to meet a few of the kids who attend their daycare program but the kids in full-time care live in homes elsewhere and not subjected to the daily tours. Kids in the daycare program usually live on the streets with their parents. For example, one 4 year old that I met has a father who works in the day as an autorickshaw driver. He earns very little and is homeless. The boy attends the free daycare. He returns to his father after his work is finished where they find a place to sleep for the night. The street walk program serves to give the kids confidence in their presentation and English skills. 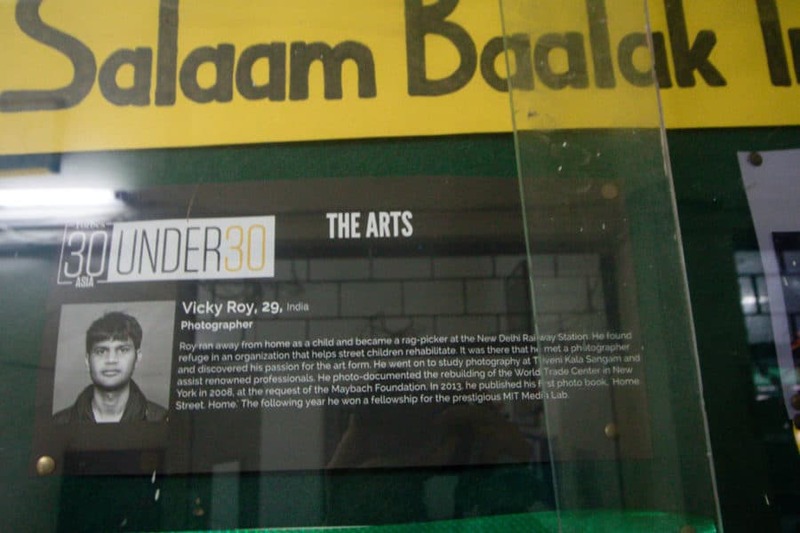 After turning 18, they can no longer live in a home through Salaam Balaak Trust so is also a way for them to make a living and for the organization to crowdsource funding. To watch a portion of my tour with Salaam Balaak Trust press play below! If you would like to do more, they have a volunteer program as well. If you are especially skilled or talented in a particular way, you can hold a class or seminar for the kids to expand their skill set. Dentists and doctors can treat the kids or provide an educational seminar. These interactions are more structured so that there are no newly formed bonds that just end a few days a later. If you are in India long-term, there are even more options. For example, I teach weekly computer and photography classes. My tour guide had a great early childhood, his mother left when he was 4 but his father gave him everything he could want for. Then when he was 8, his father tragically passed away from tuberculosis. He spent the next several years sneaking onto trains and traveling throughout India. Finally, he found an organization (Salaam Balaak Trust) to help. After 3 months of rehab, he moved into one of their residential homes. He is now about to graduate high school, already lives independently in his own apartment and is applying to college scholarships in the US! 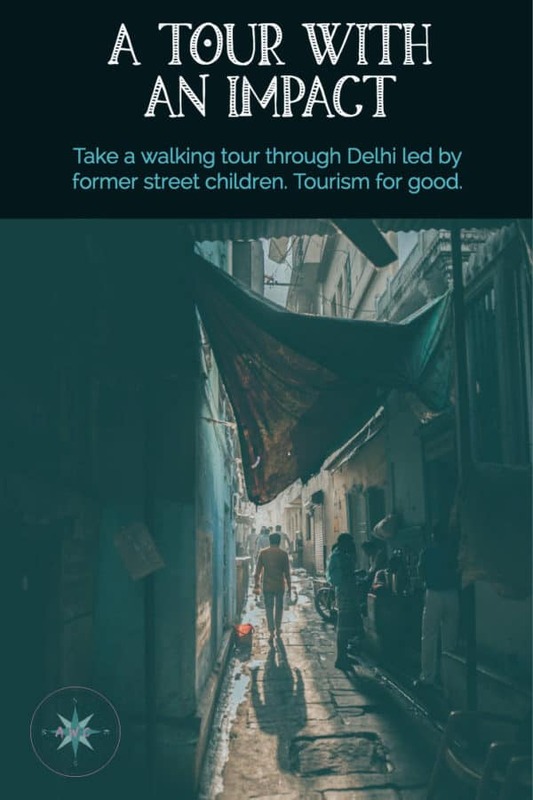 He manages by working Part-Time, as a salaried employee conducting street walks tours in Delhi through Salaam Baalak Trust. At the end of the tour, you will see a wall of success cases including an MIT fellow who made Forbes list of 30 under 30. They only represent a fraction of successful adults and is one of my favorite parts of the tour! “Roy ran away from home as a child and became a rag-picker at the Delhi Railway Station. He found refuge in an organization that helps street children rehabilitate. It was there that he met a photographer and discovered his passion for the art form. He went on to study photography at Triveni Kala Sangam and assisted renowned professionals. He photo-documented the rebuilding of the World Trade Center in New York in 2008 at the request of the Maybach Foundation. In 2013 he published his first photo book “Home, Street, Home.” The following year he won a fellowship for the prestigious MIT Media Lab. The tour costs 400 rupees which is about $7 but you can give however much you’d like. 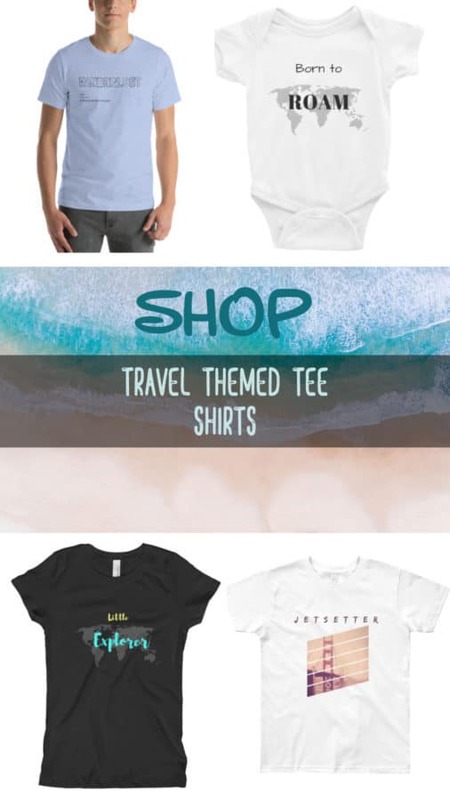 All of the proceeds go directly to the kids. If I remember correctly, they only have about 40% of their operating costs covered by government funds, so they really rely on private donors. Scheduling a tour through Salaam Balaak Trust is a GREAT way to make a small impact. Previous articleIs Disneyland Paris worth it?